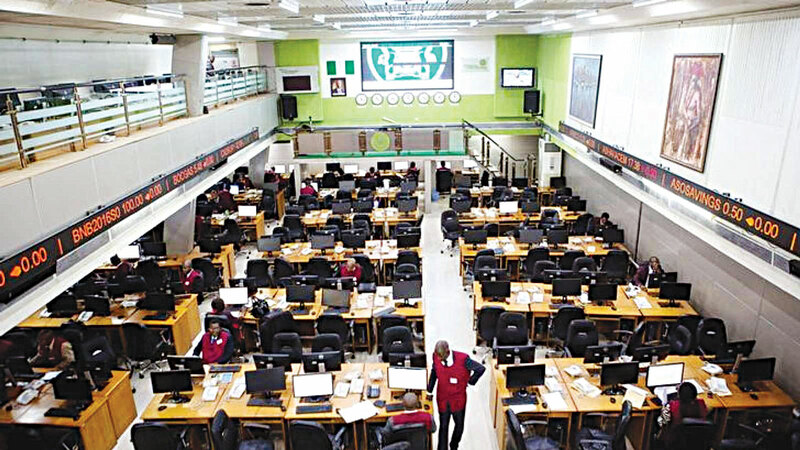 This week, the Nigerian Stock Exchange (NSE) is expected to close in red territory amid sell pressure by speculators despite the attractive valuations and dividend yields, analysts at Cowry Asset have predicted. Business Post reports that in the first week after the conclusion of the relatively positive 9 months corporate earnings season, the local bourse ended on a positive note, appreciating by 0.23 percent week-on-week. This came on the back of bargain hunting by investors despite the weaker trading activity during trading last week. The overall market performance measure, NSE ASI, closed higher at 32,200.21 points while market capitalization increased by N27.48 billion to close at N11.76 trillion. Of the five sectored gauges, only two rose: NSE Consumer Goods Index and NSE Oil & Gas Index increased by 1.65 percent and 1.27 percent respectively to 726.34 points and 293.52 points respectively. However, NSE Industrial Index, NSE Insurance Index and NSE Banking Index fell by 3.81 percent, 1.90 percent and 0.47 percent to 1,345.86 points, 119.60 points and 417.33 points respectively. Elsewhere, market value, total deals and traded volumes decreased w-o-w by 10.56 percent, 4.75 percent and 14.84 percent to N18.19 billion, 14,372 deals and 1.08 billion shares respectively.